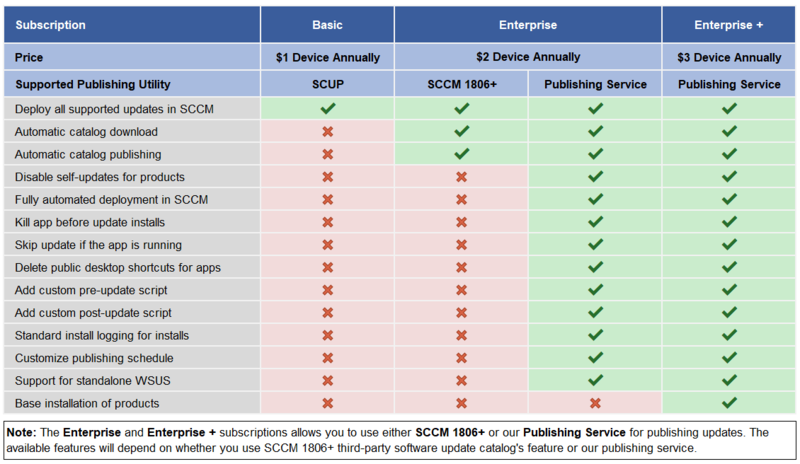 In November 2018, our third-party software update catalog for Microsoft SCCM contained 171 bug, feature, and security-related updates and 9 new products. Below you will find a full list of relevant updates and new products for November 2018. NOTE: This product only supports 64-Bit. NOTE: We added LibreOffice x64 which will only detect for the older LibreOffice x64 versions on x64 machines. NOTE: This update will detect by older versions of Snagit 19 only. EDIT: We created v2 of this update to improve the detection between this release and the LTS. EDIT: We created v2 of this update to improve the detection between this LTS and the latest release.